We covered the basic principles of an efficient HACCP system in a previous article. The first stage of the system, and one of the most essential in establishing proper food safety, is performing a hazard analysis. To do this, food processors should have a working knowledge of potential hazards, and in this article we will look at where and how they appear. Hazards come under three main categories. Biological, which is any type of pathogen such as bacteria or viruses; chemical, which includes any substance that causes injury or illness with repeated exposure; and physical, foreign objects that cause harm when eaten such as glass or sharp metal. Only those that directly affect health are included in a HACCP plan, rather than those that are simply undesirable. In this article we’ll take a look at some of the major hazards in each category. 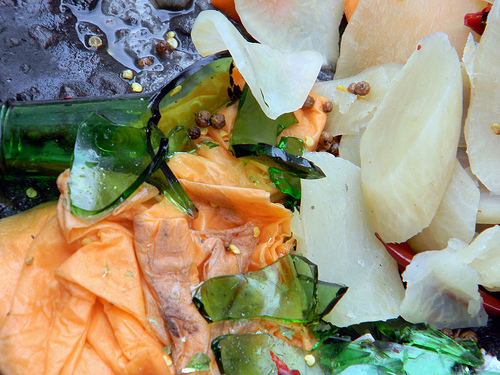 Food can contain biological hazards that come from raw materials and food processing steps. They are usually microorganisms too small to be seen by the naked eye such as bacteria, viruses, or parasites. There are thousands of microorganisms, but only a few are pathogenic, i.e. harmful to humans. Many are actually beneficial, but it is of course the pathogenic ones on which a HACCP plan should focus. Although they are too small to be seen, microorganisms do rely on temperature, food, and sometimes air, so they can be controlled. It can be either the microorganisms or their by-products that cause health issues and spoil food. Bacteria are one of the primary biological hazards, and they are usually already present in food ingredients. They can be problematic if left to multiply in poor conditions, and most of the time if they are swallowed in large enough amounts they then reproduce within the body, particularly the intestine, until they reach dangerous levels. Particularly bad are the spore-forming type, as these spores cannot be easily destroyed by heat or chemicals that work on normal bacteria. An example of spore-forming bacteria is clostridium botulinum, which can intoxicate the central nervous system and cause shortness of breath, blurred vision, loss of motor capabilities and death. Salmonella is an infamous example of harmful foodborne bacteria that is not spore-forming, and can cause an infection with symptoms such as nausea, vomiting, abdominal cramps, diarrhoea, fever and headache. Viral hazards, on the other hand, can exist without growing, so can survive for a long time with no sustenance. They are usually carried by people, even if they show no signs of being ill. Viral food contamination often comes from poor food hygiene practices such as failing to wash hands. Viruses are very difficult to destroy thus emphasis must be put on prevention. Examples of viral hazards found in food include the Hepatitis A virus and Norwalk virus. Parasites are organisms that need a host to survive, and they live on or inside this host. There are thousands worldwide, but only about 20% can be found in food, and less than 100 can infect people through consumption. These pathogenic parasites are split into two types, worms and protozoa. Worms, such as roundworms, tapeworms, and flukes, can vary in size from barely visible to several feet long. Protozoa are single-celled, and can usually only be seen with a microscope. Most parasitic contamination comes from transmission of faecal matter and can be prevented with proper food hygiene. Thorough cooking kills all parasites, and in specific cases freezing can be used too. Chemical contamination can happen at any point in the food production process, as chemicals are often used for helpful purposes, such as pesticides on crops. 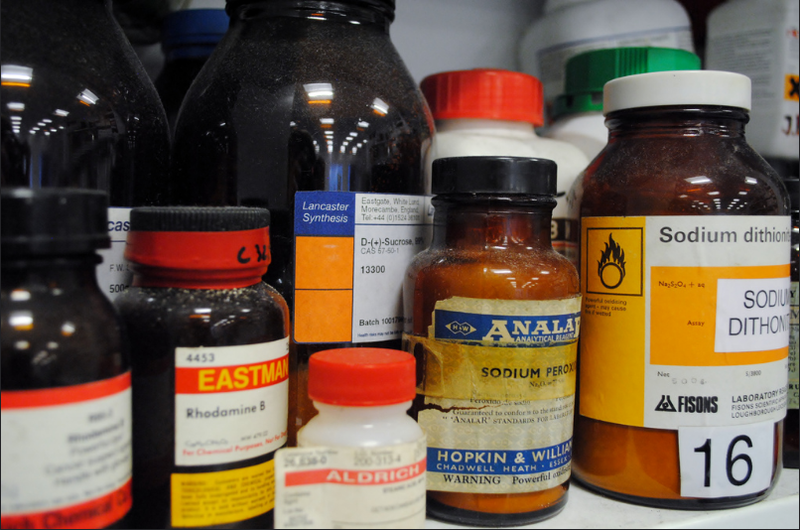 The presence of chemicals is not always a hazard, as they must exist in sufficient quantities to cause harm. Most of these quantities are defined by regulatory limits. 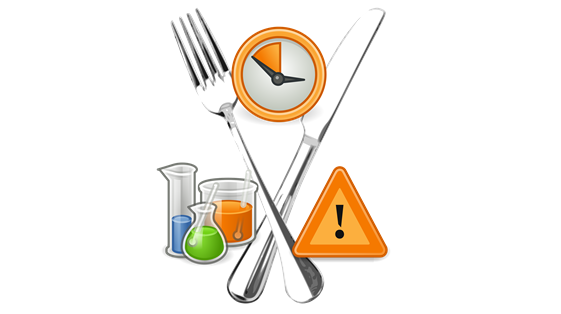 There are three main types of chemical HACCP hazard: naturally occurring, intentionally added, and unintentionally added. Chemical hazards must be dealt with by screening and testing ingredients and contact points. Naturally occurring chemicals are derived from plants or animals, but despite this origin they are usually treated as chemical hazards to distinguish them from bacteria, viruses and protozoa. They usually enter the process before or during harvest, but can reach hazardous levels due to improper storage. Examples include nuts (to avoid allergies), the toxins produced from certain types of fish spoiling, or the toxins that can grow on corn. Intentionally added chemicals are those added to the food at any point of the process that can become hazards if they rise above unsafe levels. Examples of food additives that can be dangerous at high levels include the preservative sodium nitrite, vitamin A, or sulfiting agents. Unintentionally added chemicals may be present in food ingredients when they arrive, or could come off packaging. They are only a HACCP hazard if they cause harm, and many do not, but there are some that are forbidden at any level, such as insecticides and pesticides. Other examples could be cleaning chemicals, or maintenance chemicals such as lubricants or paint. The final category of hazards is physical hazards. This entails any potentially harmful extra matter not usually found in the food. These can cause choking, cuts, broken teeth, or even intestinal damage. They are the most commonly reported hazards as the source is immediately identifiable. Examples include metal or glass. Bone can sometimes be a hazard but is usually just classified as a quality defect. 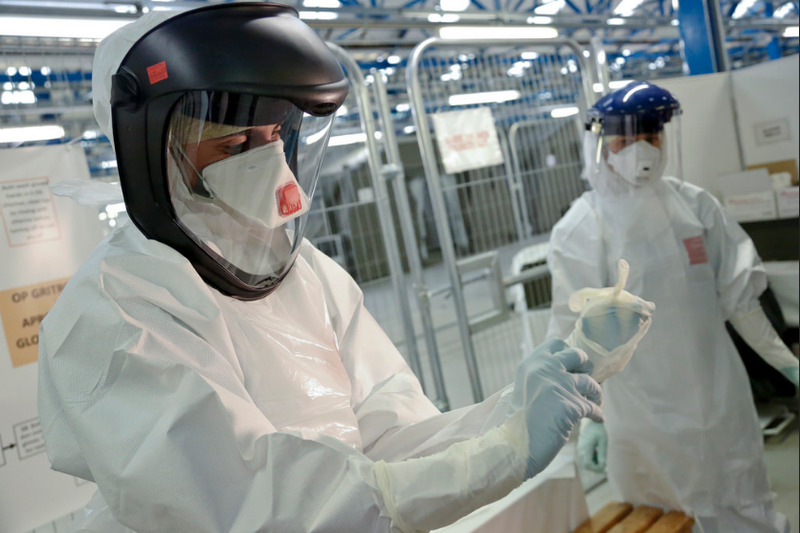 Overall, there is a whole raft of biological, chemical, and physical HACCP hazards that a food processing plant must bear in mind when forming a safe and hygienic HACCP plan. Each category of hazards should be thoroughly explored at every stage of the process to ensure that all incidence of their presence in the food is under regulatory guidelines. Hopefully this article has given you an idea of what exactly to look for going forward with your HACCP plan.